During the 20th-century, lifespan in the United States increased by more than 30 years, of which 25 years can be attributed to advances in public health. But while people nowadays are living longer than they ever have in the history of modern civilization, that doesn’t mean that these extra decades are spent in good health. People have always been looking for a fabled “Fountain of Youth” in some form or the other. No one likes the idea of growing old, which is why It’s no wonder that the global anti-aging market was worth $250 billion in 2016 and is estimated to reach $331.41 billion by 2021. Products in this niche include cosmetic treatments, hormone replacement therapies, implants, prosthetic devices and stem cell treatments. However, the anti-aging industry is rife with advertisements of questionable claims. Many of these treatments are unregulated, clinically unproven, and even potentially harmful, which is ironic seeing how something which was supposed to slow aging may actually accelerate it by making people ill. To date, there is no medicine proven by a clinical trial that can slow down biological aging — but there are some signs that it may be possible. Recent developments in genetic and cellular research suggest that we may want to focus on how well we live as opposed to how long we live. It’s all about healthspan, not lifespan. Here are some of the most interesting research that scientists are currently pursuing. It sounds like the plot of a bad vampire movie but some scientists are truly exploring the rejuvenating effects of transfusing blood from younger individuals. The idea of refreshing old blood with new blood was pioneered by Clive McCay of Cornell University and dates back to the 1950s, when the researcher stitched together the circulatory systems of an old and young mouse. The technique, which is called parabiosis, caused the cartilage of the old mouse to appear much younger than expected. It wasn’t until much later that researchers were able to find some of the mechanisms responsible for this rejuvenating action. Since McCay’s original research, studies have shown that parabiosis rejuvenates the liver, skeletal stem cells, improves cognition, and reverses heart decline in older mice. A protein called GDF11 found in blood plasma seems to be responsible for some of the rejuvenating effects, as identified by Harvard researchers in 2012. In both mice and humans, GDF11 levels fall with age. We don’t know why this happens yet but there are hints that the decline occurs due to growth control mechanisms. These fascinating results suggest that a similar rejuvenating effect might be possible in humans, as well. In October 2014, researchers at Stanford transfused young blood to older patients with mild/moderate Alzheimer, but the results have not been published yet, as patients need to be monitored for a long period of time. Meanwhile, a startup called Ambrosia is already offering plasma infusions at $8000 for two liters, to anyone aged over 35. However, be warned that such procedures have not yet been verified by science. Actually, there are even quite a few ‘snake oil’ ploys centered around young-blood transfusion, as reported by Scientific American. Scientists have been testing the effectiveness of a class of small molecules called senolytics, which kill senescent cells — those that have stopped dividing due to DNA mutations and other damage. Senescent cells secrete large amounts of some proteins that are harmful to their neighbors, stimulating excessive growth and degrading normal tissue architecture. These cells have also been associated with cancer and release chemicals that cause inflammation. Senescent cells are still alive, it’s just that they stop functioning properly. In a study published this year, researchers at the Mayo Clinic in Rochester used a combination of dasatinib and quercetin (D+Q), which killed senescent cells and slowed the deterioration in walking speed, endurance, and grip strength in mice. Previously, when the researchers injected young (four-month-old) mice with senescent cells, the mice began to show impaired physical function, such as maximum walking speed, muscle strength, physical endurance, daily activity, food intake, and body weight. Scientists have become increasingly interested in the coenzyme nicotinamide adenine dinucleotide, or NAD+, which plays a very important role in the biological functions that make life possible. NAD+ is crucial to turning nutrients into energy in metabolism, as well as other processes like maintaining healthy DNA and regulating circadian rhythms. A number of studies have demonstrated that increasing NAD+ levels in mice can, for example, restore muscle function and enhance regeneration in the brain. Now scientists are looking to translate this research to humans. A clinical trial, which involved 60- to 80-year-olds over an eight-week period, found NAD+ levels could be increased by an average of 40 percent at a standard dose of 50 mg of pterostilbene (an antioxidant found in blueberries) and 250 mg of NR, a day. This was the first trial to show it was possible to elevate NAD+ levels sustainably over a period of time. Although you can already order an NAD+ supplement, more studies will have to be undertaken before any conclusive claims about NAD+ and its rejuvenating properties can be made. The number of stem cells in our body tends to decrease with age. 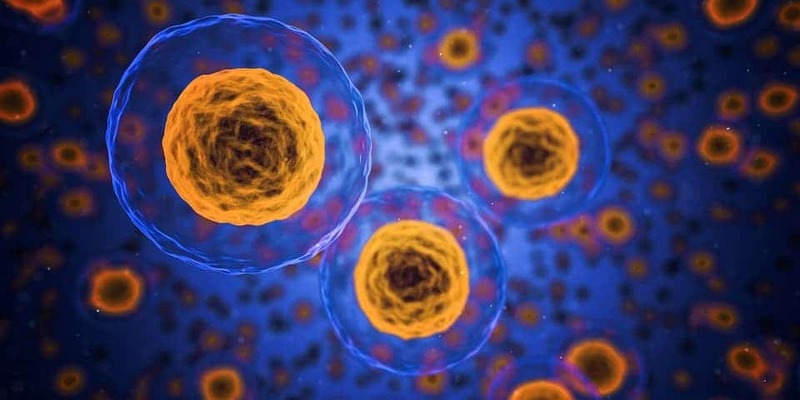 Stem cells are a class of undifferentiated cells that are able to differentiate into specialized cell types — they’re sort of like the body’s raw materials. Stem cells are important because they provide new cells for the body as it grows, and replace specialized cells that are damaged or lost. Doctors hope to use stem cells in a guided fashion in order to replace diseased cells and organs. Mesenchymal stem cells (MSCs) are a particular type of adult stem cell generating a great deal of interest in the world of science. Currently, they’re being used to treat a wide range of diseases from cancer to heart disease, but new research is starting to discover their anti-aging properties as well. A 2017 clinical trial on humans, 15 frail patients with an average age of 76 received a single MSC infusion collected from bone marrow donors aged between 20 and 45 years old. After six months, all patient showed improvements in fitness and an overall improvement in their quality of life. Researchers at the Albert Einstein College of Medicine in New York found that the hypothalamus — a small portion of the brain that plays a crucial role in many important functions, such as releasing hormones. regulating body temperature — releases hormones that affect other organs, affecting how mice age. By injecting the hypothalamus with extra stem cells, taken from the brains of newborn mice, the researchers slowed down aging and gave mice an extra two to four months of life — that’s a 20% lifespan increase. That being said, stem cells therapy for anti-aging or rejuvenating properties is still classed as experimental and people should shy away from “stem-cell-based” topical creams and stem-cell­-injection clinics. A study of Amish people found that a subgroup of people with a single mutation in the SERPINE1 gene lived to 85 years, on average — significantly longer than the predicted lifespan of 71 years for the general Amish population. The mutation significantly lowers the production of a protein called PAI-1, and this may explain the tendency to be in better health with advancing age. A lower PAI-1 protein count in their body seems to make individuals more resilient in the face of disease. According to the researchers, Amish people with the SERPINE1 mutation had no signs of diabetes as opposed to 7 percent of the Amish individuals with the normal SERPINE1 gene. What’s more, those with the mutation also exhibited a better metabolism and lower-than-average levels of fasting insulin, according to the findings published in Science Advances. Previously, Israeli researchers identified another gene mutation that extends lifespan, also by ten years, but only in men. Since there aren’t any apparent negative effects related to PAI-I deficiency, it’s possible to use drugs to target this protein. Already, Japanese researchers at Tohoku University are conducting an early phase clinical trial with an orally active PAI-1 blocker. A Japanese company called Renascience holds the patent for the drug which is currently being licensed to Eirion Therapeutics in the United States. There, the drug is marketed as a treatment for baldness since one of the mechanisms by which PAI-1 contributes to aging is by limiting cell mobility, which can be important in hair growth.